This week I am excited to be starting my next adventure at Renovate America as an Energy Analyst. Renovate America is most well known for their Home Energy Renovation Opportunity (HERO) program which utilizes Property Assessed Clean Energy (PACE) financing to fund energy and water efficiency upgrades in the house through property tax payments. One advantage of this means of renewable financing is that the payments on the solar panel, HVAC, artificial turf, or other upgrade is transferable to the next homeowner because they will resume payments via the property taxes. Renovate America creates software, analysis solutions, and relationships with local governance to streamline this financing innovation. Renovate America is tackling the challenge of aligning the interests of the homeowner who wants to save energy and water, the contractor who needs to operate efficiently and provide excellent service, and the local jurisdiction who needs to reduce carbon emissions using justifiable metrics. Renovate America has demonstrated a formula that aligns these three interests and encourages consumer protection, approved contractor project streamlining, and meets local governance greenhouse gas reductions. One of the reasons I am excited to join Renovate America is that they are utilizing agile and iterative software development methods (SCRUM) to serve customer more effectively. I am a big believer in involving the end user in the development process very early on and am excited for a world of new learning at Renovate America. 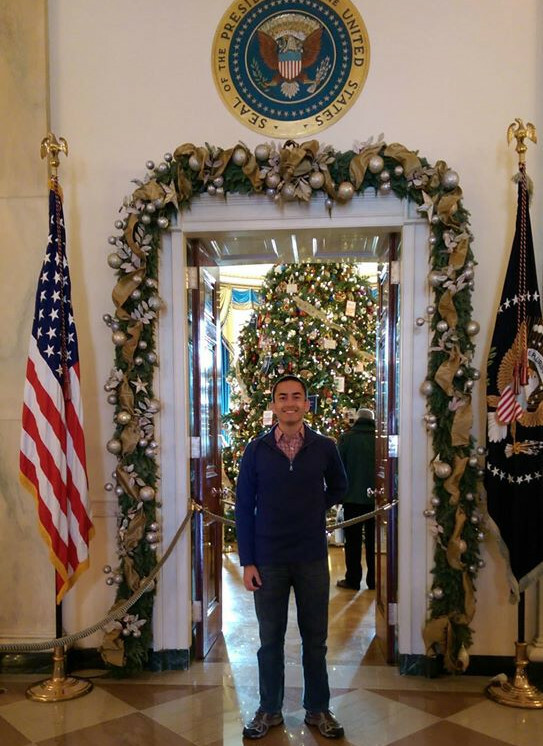 Over December I had the distinct honor of flying to Washington D.C. and attending the 2014 Behavior, Energy, And Climate Change Conference. I was able to see lots of presentations on the latest analytics taking place in energy and energy efficiency. I was also able to present my poster above on the results of my latest project using Green Button Data to ascertain if electric vehicle customers are really saving money by going electric and potential barriers. Green Button Data is a file format that lets one easily go to their corresponding utility webpage and download their hourly or 15 minute energy usage profile. Using these files from electric vehicle customers from PG&E, SCE, and SDG&E I was able to ascertain that about 60% of these customers were on a higher cost tiered tariff instead of opting for the lower cost “Time of Use” option. Time of Use charges a customer based on the time that the energy was consumed. For example if the energy was consumed at midnight the demand is much less and the cost becomes much cheaper than during peak hours. This 60% base of customers paying more amounts to an extra cost of $800 a year per EV Customer and all the customer had to do was call their utility and ask to switch. Keep in mind that this is $800 a year extra, over the lifetime of the vehicle that could easily become $12,000 total lost simply by not calling your utility. This adds up to roughly 30 million dollars a year that California EV Customers are leaving on the table based on current EV ownership statistics. 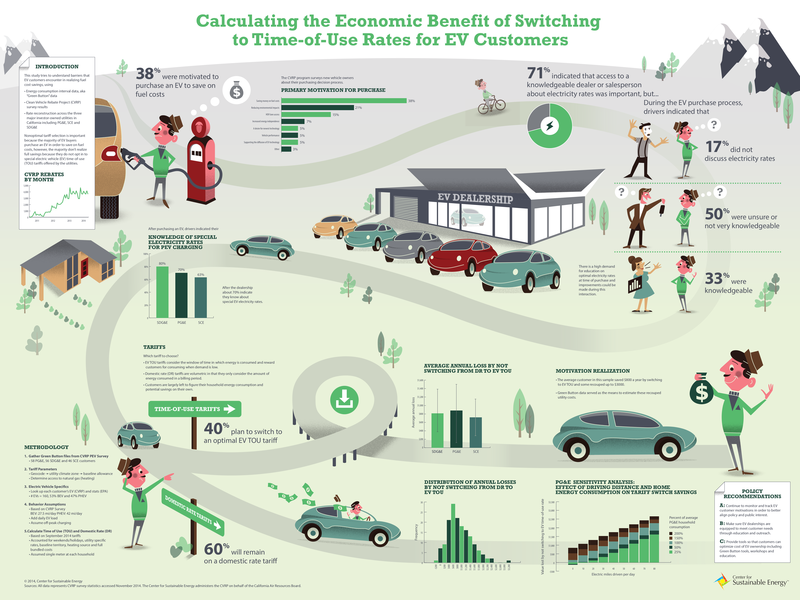 In order to realize full savings electric vehicle customers need a seamless method to not only purchase and charge their new electric vehicles but also make the upfront decision of switching to a more optimal electricity rate (AKA electric tariff).